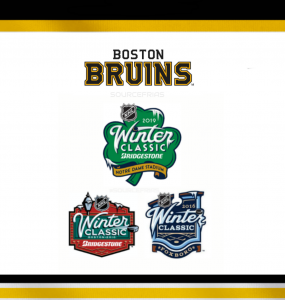 The Boston Bruins will be playing in their third Winter Classic this New Year’s Day, and for the first time they will be on the road. They have had the opportunity to play at Fenway Park in Boston in 2010 and then in 2016 at Gillette Stadium. This season it is at Notre Dame Stadium. 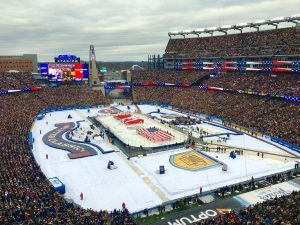 In anticipation of their next Winter Classic game in 2019, we look back at the other outdoor games the Bruins have participated in. 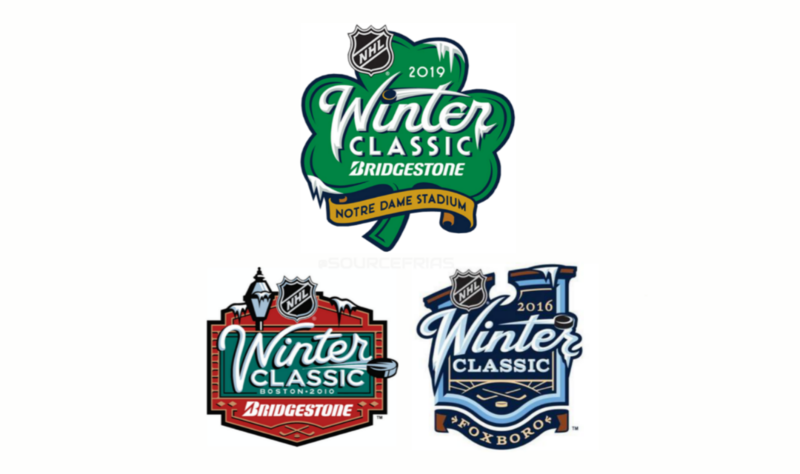 The first game was the 2010 NHL Winter Classic played on January 1, 2010, at Fenway Park in Boston. The game, which was the third Winter Classic played, matchup up the Boston Bruins against the Philadelphia Flyers. The Bruins won the game, 2–1 in overtime with a goal from Marco Sturm. 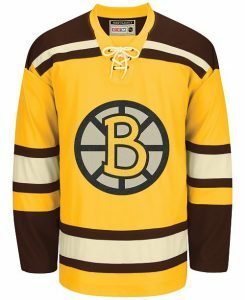 The Bruins wore a dark yellow and brown uniform that included the “B” from their 1955–57 jerseys. In the second installment of playing on New Years Day, the Bruins faced their long time rival Montreal Canadiens at Gillette Stadium. 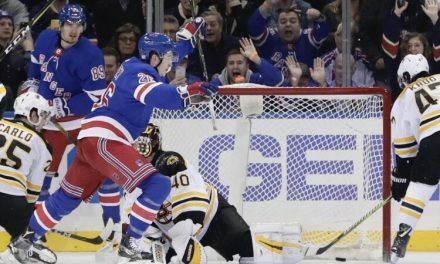 The game was not a memorable one for Boston as they were defeated, 5-1. 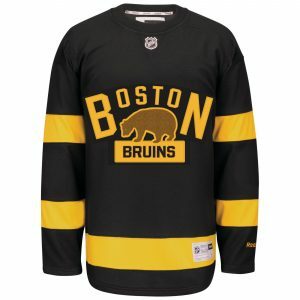 They decided to go with an updated version of the 1924-25 jerseys, replacing the brown with black and using a felt logo with the bear and Boston Bruins font crest. This game will feature the Chicago Blackhawks and the Boston Bruins at Notre Dame Stadium. This will be the fourth Winter Classic for the Blackhawks and the third for the Bruins. The Bruins announced their logo for the game. 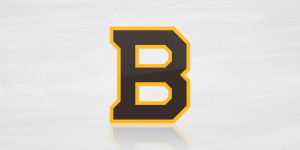 The logo is a brown and gold block “B”. It is an updated version of the one they wore during the 1991-92 season for the NHL’s 75th Anniversary. 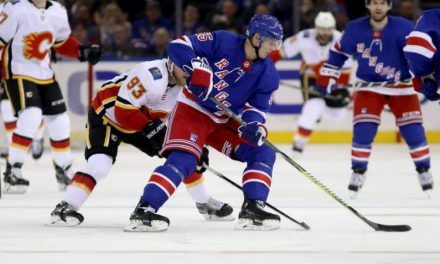 They chose to use the B that is on the current jersey and from the photos that were sent out on their social media platforms, the jersey will most likely be the replica of the ones worn during the 1932-33 season. 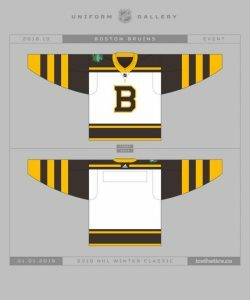 The Bruins will be in white for the first time in a Winter Classic. 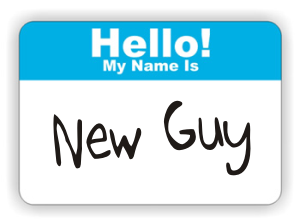 The jersey will be white with dark brown and gold stripes. As with the previous Winter Classic jersey for 2016, the team will most likely use these as their alternate for some games during the regular season. Tickets for the outdoor game and the prices range from $85 to $505 dollars. Fans who were able to experience the previous games at Fenway and Gillette will notice that the event prices have gone up year after year.